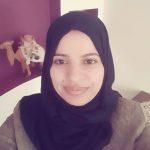 Gaza stories: Yusra - sister-hood magazine. A Fuuse production by Deeyah Khan. Yusra al-Hawari, at 50 years old, had to flee for her life. She tells her story in exact detail, as if the events had only just happened. ‘I suffered from fatigue and fear since the beginning of the aggression. My fears were not only for myself, but also for my husband, my children, and my grandchildren, those whose eyes I see light in. I used to think what if something happens to them? Can I survive without them in my life?’ She said. ‘Too much thinking and worrying has affected my health. I was diagnosed with breast cancer, high blood pressure and acute asthma,’ she added with tears in her eyes. The smell of the heavy smoke and the sounds of shooting and explosions wouldn’t stop. It was two o’clock in the morning. That day, Yusra’s family, consisting of eight persons, were gathered in the same room in order to avoid the poisonous gases. ‘My chest was hurting. My family tried to call the ambulance for help and they called the local radio to send us a rescue team as the shelling was getting closer to us and we felt that we were all going to die. We cried together with one voice but no one responded to our outcry because the Red Cross vehicles could not access the area,’ she continued. My family decided that they had to evacuate. They went to the street where they had to duck to avoid the random shooting many times. The cries of children and women asking for help were everywhere. No one was able to respond to their call for help. It was such a heart-breaking situation. The ground was covered with the bodies of the martyrs and nobody took care of the wounded. It was an incredible scene. The occupation forces continued to kill indiscriminately. Yusra fled with her family to the house of their friends in the same area. They sat there for approximately two hours; the hardest two hours of their lives in the heat of the July sun. After two hours, they left on foot while warplanes hovered overhead. Every moment, they expected that an Israeli rocket would end their lives. With difficulty they reached the city centre of Khan Yunis where they found a car that transported them to a school sheltering displaced people. Yusra and her family arrived completely unharmed, and were allocated space in the classrooms of the school, which had become a shelter for the internally displaced people. They sat on the seats to catch their breath after escaping death. On the same day, three members of the same family were killed. They were related to people that had been part of the same forced displacement and shared the same classroom with them. They left the shelter without knowing that Israeli shells had killed their children. The situation was really difficult and sadness filled the place. ‘In addition to the bad conditions in the school, there were 50 women living in the same section or on the third floor. I was sick so I could not reach the toilet more than once a day. There was no water to wash my hands or to shower. I live with the help of medications. Without them I’ll die, so I keep my medicine bag with me all the time. Losing it would mean my death. My children always remind me to take my medication,’ Yusra continued. Yusra’s daughter called a friend to ask if there was a place where they could move. They found a storeroom to rent and moved in. The situation was not much better than before, but they tried to make it suitable as temporary housing. 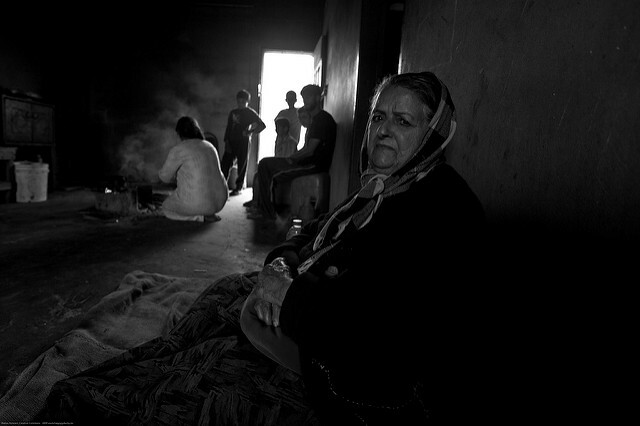 Mona Mousa is a 29-year-old woman form Khan Younis in the Gaza Strip. She has a diploma in education ( child care). Her dream is to become a famous writer and novelists.